Last week, Jessa (Duggar) Seewald and Jinger Duggar headed to Freshair Salon in Fayetteville, Arkansas. Check out their new hairdos, courtesy of Catelyn Hooser (photos used with permission). If you live in the area and like what you see, visit Freshair's Facebook page for contact information. You girls look beautiful!! God bless you. Very nice I really like it. You are beautiful young ladies. beautiful....long, short, curly, straight.....these girls are beautiful...inside out. That is really good that some of the Dugger girls got hair cuts . It makes you feel good to work with a beautician and will listen to your beliefs and your values. These girls now have the right to say what they want done on their hair with out mom or dad saying no. Looking Good girls, I like you're new hairdos pretty girls !! They don't look much different. Jessa's still doing that throw the hair over one shoulder thing. Looks like it needs to be evened off at the ends. Are they still adhering to the Gothard long hair preference? Why does it matter if they adhere to the long hair. You should leave them alone and let them do what they want. Judge not least you be judged. When I start posting pictures of myself online all the time, go ahead and judge. That would be fine. I wouldn't post pictures unless I wanted comments. Jinger looks great (as usual!)!!! Love the glamour shots! Jinger's new hair looks amazing!! Did Jessa do anything to her hair I cannot tell? You girls are gorgeous and I can't wait to see you on Television again! I heard that the Duggars are returning to TV! I love Jingers hair!!! It's a more updated stylish look. Wish Jessa had parted a little more with her length, but love the bangs! Both girls have been blessed with beautiful hair though. Jinger looks fantastic!!! Love the hair and the dress. She's so stylish and now her hair is too. I still love this family. One bad apple cant hurt the whole bunch to me. I like their hair cuts, but I like Jessa's better with curls. I wish you guys were still on T.V. I know people have found great fun in finding out your family is not perfect. We will never be perfect on this earth, we were born in sin and will die in sin. We will make mistakes of the fless and disobey our father as Adam and Eve who committed the first sin and sin begot sin. Yet, when you see a family struggling to bring their children up with the insight of God and the understanding of love, and the meaning of marriage, we you are doing a great job. The critics (my personal opinon) are the devils tongue, yet maybe one day their eyes will open, as mine die. Ridicule will never leave, unfortunately forgiveness is not what the world breeds. Ginger is interesting to talk to. I had a short conversation with her during Alyssa Bates Webster's wedding and enjoyed it very much. Love their smiles. It looks really good! I always thought Jinger was so cute. Maybe a courtship soon for her? Looks great!!! They have such long hair, mine is really long too! As usual these girls look gorgeous!!!! I love your hair do! But you look all the time! Love your family, waiting for the day your family is on TV again. God Bless the Duggar Family! I would love to have their hair, they have such beautiful locks, so long, once mine are past my shoulders they start breaking and falling out. so I am stuck with short hair blah. They look beautiful! 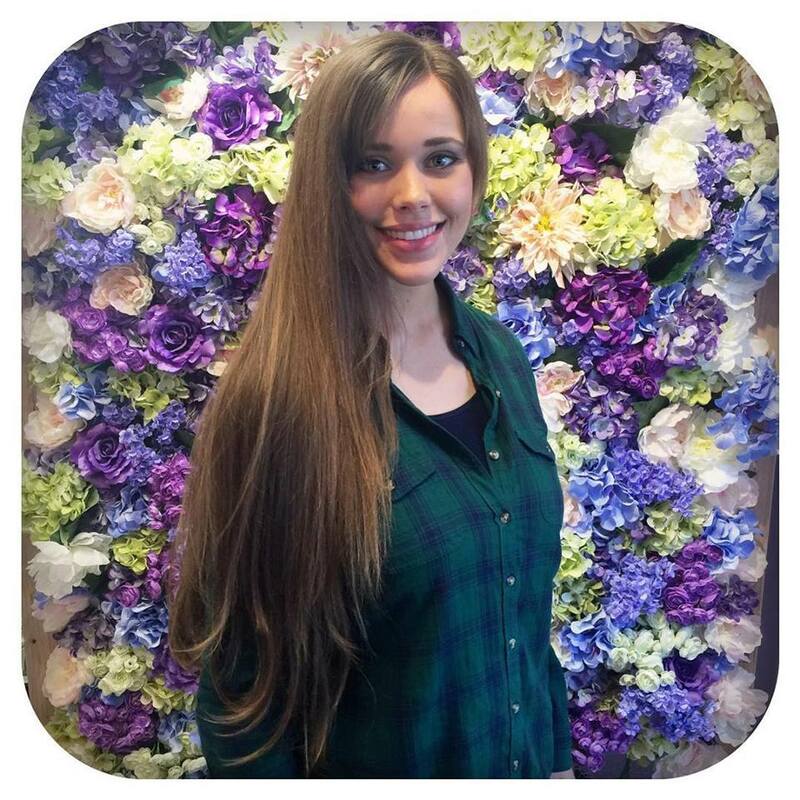 Both Jessa and Jinger were given great updates to their styles! Exactly. I cant see a difference either. I wish they would be more creative/adventurous. Such gorgeous girls...inside and out!!! Great pictures of Jessa and Jinger! Hope all is well woth the family. I miss watching you guys. They both look really great like how its cut around there face. All the Duggar girls are beautiful. Going to thrift stores, keeping they're hair color natural, natural beauty. The girls are truly blessed. Makeup, perms and heat styling aren't natural beauty. Neither are braces for that matter. Jinger looks the same and Jessa's hair seems too long. Yes, Jessa's hair would be prettier and look more updated if it was a couple inches shorter. It's so long you really can't see the layers. At least they are going to an actual stylist and not each other anymore (home haircuts). I do not see a different hairstyle. You ladies are so awesome! I love the new looks, I don't believe you would ever look anything but beautiful. Your spirit is beautiful and comes through completely! God's blessing to you and your family. I don't care how or who but we really need you all back on TV. Enough I enough. The news break has come and gone. Let us all move on. This has changed everyone's lives we need to see the good now! Jessa's hair looks great around her face but she could lose about 12 inches in the length. beautiful girls (inside and out) and beautiful hair!! want this family back on television!!! Jessas hair looks like it grew more - so long and pretty. Jingers hair is beautiful too. Both pictures are so pretty. Nice to see they are changing it up. I think the girls would look nice with a shorter haircut, like to their shoulders or chin. Did they really get anything done? They both look the same. Their hair is much too long to be pretty. Less is more. These girls just got the slightest trim. Does every "famous "person show off their hair on social media for a one inch trim? It actually looks the same to me. Why say these girls are blessed--just because they are rather pretty? Sounds kind of shallow. Jessa"s hair seems too long. Hair looks the same but the makeup looks different--and better! It's more natural and healthy looking. Jessa looks exhausted and tired. And her shirt is, well, very thrifty. That's strange because a perfect appearence was always most important for her. Is she Ok? Ummm, she has a newborn. Being tired kind of goes along with that. She has a new baby and lost a lot of blood!I m sure she's exhausted!I looked way worse than she does after my kids were born!I think she looks great! new hairdos? Looks like a half inch trim. I m amazed at how healthy their hair stays even when using heating tools even when I use a protectant first I have to keep trimming since it gets so dry.They are beautiful inside and out!All of the Duggar girls are!Love them hoping to god they return to tv ASAP! I miss each one of you so much. Be Happy. TEAM DUGGAR!! !I love them!I cannot believe the negetive comments.Its so crazy!How dare they bash the entire family!It makes me sick! Honestly, their hair doesn't look any different. Maybe their makeup? Hummmm......maybe a tiny tiny trim. It's time for MIchelle to get a hair cut! YES!!! She's the one who really needs an update! They gave her one for a birthday, remember? And she was totally underwhelmed. She let it go right back to the way it was before. I think her hair is naturally curly. I mean diffently not those small curls she has for the show. But I remember when she got her makeover with Miss Cindy the wind made it curly again. Um. They look exactly the same as they always have. Beautiful hair! I wonder how long it takes them (especially Jessa) to care for it though. It must take two hours to get ready when she washes it, I imagine. How does she do it, especially with a new born? I think it's good to take care of yourself, it shows that you're a careful and attentive person, but that mane would definitely be too much for me! I have hair nearly as long as theirs and it really isn't that bad. It depends on what hair type you have. I have thin hair and I just have to brush it and shampoo and conditioner (but not everyday). Just the basic things you do with hair you just have more of it and it may take longer. Really the only roadblock I've run into is with longer hair its harder to hold a curl. It takes a lot of work. I have always wondered how the Duggar girls get their hair to hold a curl. I think maybe with thick hair ( which I think they have) its somewhat easier. Love your new hair do's. Love y'all and your family. Beautiful girls. God bless you all and remember God loves you all. I am not a fan. Jessa's hair looks too long and straggly and Jinger's does not look any different than usual. The stylist could have done a much better job. 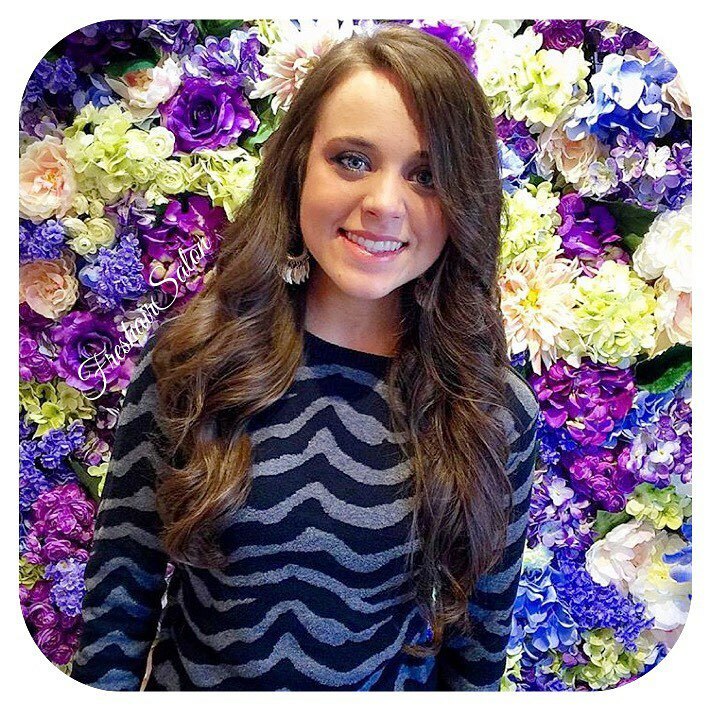 Jinger I love your hair. Both girls are so pretty. They are reality TV stars. Publicity is part of their brand. It has nothing to do with the Bible. The Duggars have really gotten away from the original intent of their show. They are stars now. "God first, others second, yourself last." Wow. They did a great change up to Jinger and so polished. So glad Jessa was able to get a trim up. They both are beautiful girls. Jinger you look great.But then you and your sisters always look great. You both look beautiful! Really miss you all. But I am praying God's will concerning new episodes. He knows best. Keep us posted. Love you all. Beautiful girls, but they each have enough hair to cut 10-12" off to donate for Locks of Love or other charities that make wigs for hose who've lost hair from chemo treatments, alopecia, etc. Hair grows back fast- just a suggestion. Michelle claimed that their hair grew too slowly to do that. I don't recommend Locks of Love, though since they charge for the wigs. Wigs for Kids or Pantene's Beautiful Length is a much better suggestion. My thoughts exactly. I've done it and it's a great feeling to do something that helps others so much. And I then found out that I like my hair shorter! sounds like an excuse...Jesus wanted us to give to others when we are in excess. Hair will grow back. I have myself donated twice...each time I cut it my hair was shorter than I would have liked but it grows back! Give to those in need! There is something wrong if you count your hair as your identity! Also they would still have long hair even with ten inches cut off. Hi Ellie not sure if you will see this, I'm a regular to your Nashville wife blog,and also this blog. I'm REALLY curious as to how the rest of the family is doing what they are up to, such as: How is Grandma Duggar, whats Jana up to, how are Jinger Josiah Joyanna Jed and Jeremiah and so on? May we get updates on the rest of the family please? Glad you are enjoying my Nashville Wife blog! I'm blessed to have you as a reader. I think the Duggar girls are definitely blessed with beautiful locks. But why don't they cut some of the length? It just looks more kept and not stringy. I wish Jill would follow these girls and get some of that hair cut off and shaped up. Their hair overwhelms their pretty faces. What happened? Jessa looks worn out and frumpy. She's such a beautiful girl. I am concerned. That hair is too long for her. It's all hair. Please Jessa take care of yourself and reprise your natural beauty. People really need to think before they post these things. Jessa had a difficult delivery, is caring for a newborn, and after only 3 months her body obviously has not just snapped back to its prepregnancy state. Of course she is tired and is not going to look like she did even a year ago. She JUST HAD A KID!!! And reprise her natural beauty? You used that in the same sentence as take care of yourself. They way those girls have been "taking care of themselves" is not "natural beauty". Now I have nothing against them using makeup and doing their hair I personally think they look good other way. But I think this is the most " natural" you'll see Jessa. The Duggar girls need to be open minded about having their babies in a hospital with a medical doctor on staff. Their deliveries do not have to be that dramatic and dangerous. Then they might not look and feel so worn out and have shorter recovery periods. Just my observation. Jessa's hair really drags her down. If they really want to highlight their "countenance," then why such long hair that only draws the attention downward. She's look great with hair at her shoulders. I guess that's why they said 'trim' because that's all it looks like. Jinger is becoming my favorite any more. She the most stylish yet still modest. Plus I like her personality on screen. I don't care for the 'throwing your hair over the shoulder look'. They really are all pretty girls. Such a shame they won't update their locks. Jana is my favorite. So pretty, quiet, and humble. She has beautiful hair too and doesn't flaunt herself around with endless selfies. I pray how soon God moves on her behalf and sends her a Boaz. Hands down she's my pick. Honestly, I think Jessa looks better with curls and Jinger looks better with straight hair, like in the photo above. Jessa looks so much older with bangs. They are still pretty girls though. Just my honest observance. I think that is intended to mean taking back what is still there, but overshadowed by being in mommy mode. I don't understand why others didn't catch that. They do have natural beauty.